Greek Independence Day, a national holiday that is celebrated annually on 25th March, commemorating the start of the War of Greek Independence in 1821. It coincides with the Greek Orthodox Church’s celebration of the Annunciation to the Theotokos, when the Archangel Gabriel appeared to Mary and told her that she would bear the son of God. 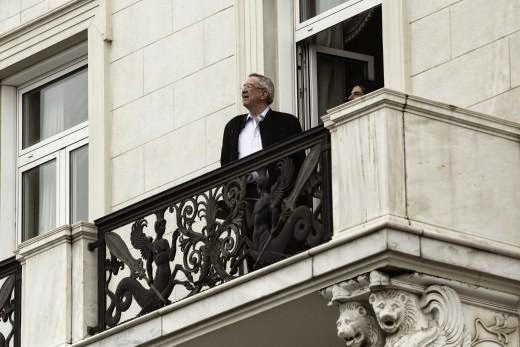 On 25th March 2015 Greece was still celebrating her Independence Day, but this time King Constantine II of the Hellenes no longer watched the crowds on horseback, but the King followed the military parade standing on the balcony of the Hotel Grande Bretagne. Poor Greece!